Earlier this evening Google announced the sale of Motorola Mobility to hardware manufacturer Lenovo for a deal valued at just below $3 billion. Given my fondness for the Moto X and Moto G, two of the best ergonomically executed handsets in the Android space from my perspective, I had a bunch of thoughts about this deal that I wanted to get down in writing. I'll start off with a bit of praise for Motorola. The transformation of the company post-Google-acquisition has been nothing short of awesome. 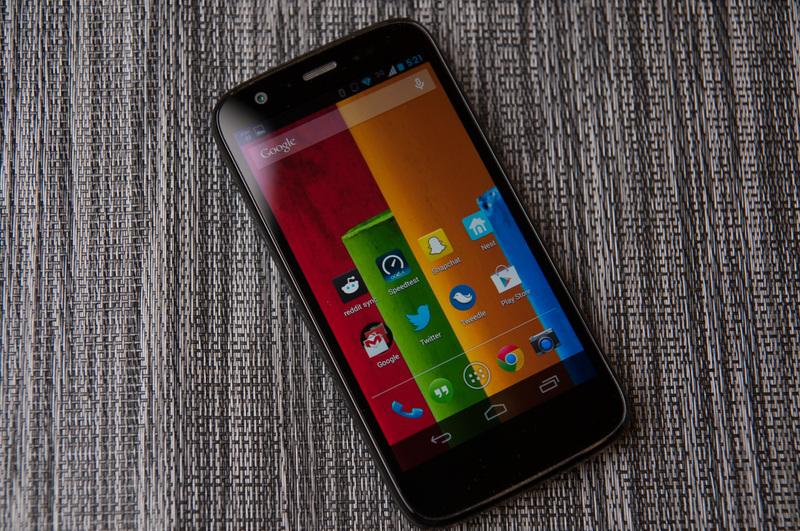 The in-hand feel of the Moto X and Moto G remain unparalleled by any competing Android device in my opinion. I absolutely understand that's personal preference, but the next three points aren't. With the Moto X, Motorola bucked the trend of higher CPU core counts (disregarding their driving-me-to-drink 8-core messaging for a moment) and instead opted for two high frequency CPU cores that ultimately delivered better thermally bound CPU performance than the quad-core alternative. 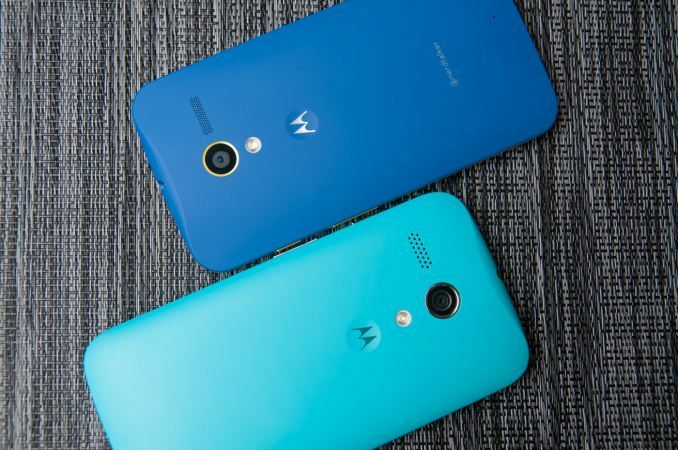 Motorola also was the first Android vendor I came across to think of addressing the issue of random IO performance, in this case by deploying a NAND Flash aware file system (f2fs) on the Moto G and X. Finally, Motorola is one of very few Android OEMs that doesn't blatantly cheat in a whole host of terrible smartphone benchmarks. In short, I like the new Motorola. The good news is that I'm not sad to see the company go to Lenovo. Lenovo doesn't have a history of ruining brands. Its acquisition of IBM's PC business seems to have done well, and I can only assume that Lenovo has the same intents with Motorola. Acquisitions that strengthen the position of the acquirer are (understandably) sensible ones, and here we're talking about two relatively small players in the overall smartphone industry combining with hopes of increasing market (and revenue) share. With both Motorola and Lenovo controlling single digit percentages of the smartphone market (1.3% and 5.1%, respectively, according to Gartner) it's clear that neither party has a chance independently. Lenovo could leverage its position in China, while Motorola would hopefully be able to do the same in the US (although with a much steeper slope to climb). So far the deal makes sense, although it doesn't guarantee anywhere near instant success. The basic fact is that it seems like it's difficult to turn a profit, even in the face of substantial revenue, in the smartphone space. LG and HTC have both struggled here, while Apple and Samsung do quite well. Apple aims squarely at the high end, while Samsung arrives at great profits through a combination of factors - not the least of which is its ability to act as both an integrator and supplier of technologies. While odds against turning a substantial profit would point to this deal being a bad (or neutral) one, if there's a company that knows how to successfully compete in a low margin business it's Lenovo. In a world where being a PC OEM is hardly desirable, Lenovo seems to have done fairly well. Leveraging its presence in China as well as higher margins from its corporate business, Lenovo has been able to support and reinvent its consumer facing PC business. It's entirely possible (likely?) that Lenovo views it can repeat the same success in smartphones. "...the smartphone market is super competitive, and to thrive it helps to be all-in when it comes to making mobile devices." "As a side note, this does not signal a larger shift for our other hardware efforts. The dynamics and maturity of the wearable and home markets, for example, are very different from that of the mobile industry. " The first point solidifies Google's position with regards to Android. It will be an OS and services provider, relying on its partners to build the hardware. Monetization comes from mobile search advertising, location based advertising and general mobile data mining. At a high level this is the Windows/PC ecosystem strategy, except instead of charging a ton for an OS license Google makes its money in these other ways. Note that there's an obvious implication for what happens to the Nexus line but we'll wait and see how that pans out. I have to point out that although Microsoft was once a proponent of this approach, as of late it seems to have lost some faith (for good reason) in the PC OEM ecosystem and chose to throw its hat in the ring with Surface. It took PCs a very long time to get to this point, and I suspect if the same end result happens to the Android ecosystem it will take a while before it gets there either. Following the Microsoft model makes a lot of sense from the perspective of growing marketshare. Given how Google primarily monetizes Android today, being in the software/services business and leaving hardware up to its partners is absolutely the right move for the company. If we've learned anything from watching the PC evolve however, it's that OEMs participating in a low margin business tend to prioritize profits first and user experience second. My hope for a Google-owned Motorola was a device vendor that was independent of that mess, but as I just mentioned I don't see this being a problem for some time to come. Larry's side note above also makes sense, it tells us a lot about Google's willinginess to play in the hardware space. In a sense, Google won't be a fast follower but it will gladly reap the rewards of a being a first mover in any industry. Focus is extremely important for the success of any company, big or small, and in this case Google is doing right by its shareholders and being focused. Google is absolutely an early mover in the wearables space and with its acquisition of Nest you can say the same thing for its role in the connected home. As I wrote about the Galaxy Gear not too long ago, with those in the smartphone space addicted to exponential growth, a maturing market drives almost everyone to look for the next big thing. There are a handful of these markets that seem feasible in the near term: automotive tech, connected home and wearable computing (+ maybe a category for things like the Oculus Rift). Android is turning out to be the mid-90s Windows of the mobile space, while Google wants Glass and Nest to be the iPhones of wearables and the connected home. I can definitely see the former, and I think Nest absolutely puts Google on the right right for the latter, I am uncertain about how Glass plays out in the wearables space over time. The wearables market is still very much in its infancy. I kind of wonder if it's coincidental that this happened around the time of agreements with Samsung relating to patents and (apparently) Samsung sticking to something nearer to stock Android: Google simultaneously makes nice with a hardware partner and stops competing with them. Wow are you out of touch. The cheapest smart phones are already in the $75 range an below. Xiaomi, micromax, and others have already committed to have there entry level phones be $50 this year. These are 3.5" lcd full capacitive touch, 256mb Ram, 8GB, 2mp can, and usually some dual core A7 from rockchip or mediatek at 1Ghz. All for under $75. There is no reason to think that they can't keep cutting prices. Yes, of course. This was a major bone of contention between the two, and obviously has a major role in this decision. As Moto has been losing money consistently, and is seeing its sales numbers continue to shrink, despite what Anand says about the feel of their new phones, this is something Google needed to do. They are down around $3B and keep the patents. Best I've come up with is something more like $5.24 billion in the hole.